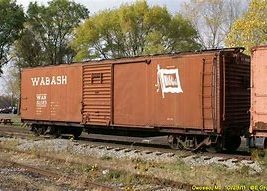 The Wabash Railroad (reporting mark WAB) was a Class I railroad that operated in the mid-central United States. The Wabash's major freight traffic advantage was the direct line from Kansas City to Detroit, without going through St. Louis or Chicago. 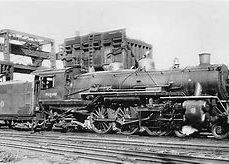 Despite being merged into the Norfolk and Western Railway (N&W) in 1964, the Wabash company continued to exist on paper until the N&W merged into the Norfolk Southern Railway (NS) in 1991. The source of the Wabash name was the Wabash River, a 475-mile (764 km)-long river in the eastern United States that flows southwest from northwest. The N&W and the Southern Railway merged in 1982, although the Wabash continued to exist on paper. 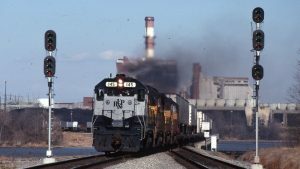 NS formally merged the Wabash into the N&W in November 1991. 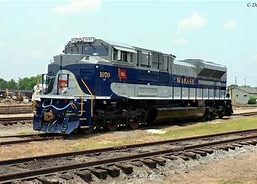 It earned pop culture status thanks to the folk song "The Wabash Cannonball" (which eventually led to a train of the same name) and flew a legendary logo with the slogan, "Follow The Flag.